Home » What Makes a Perfect Home Buying Experience? What Makes a Perfect Home Buying Experience? 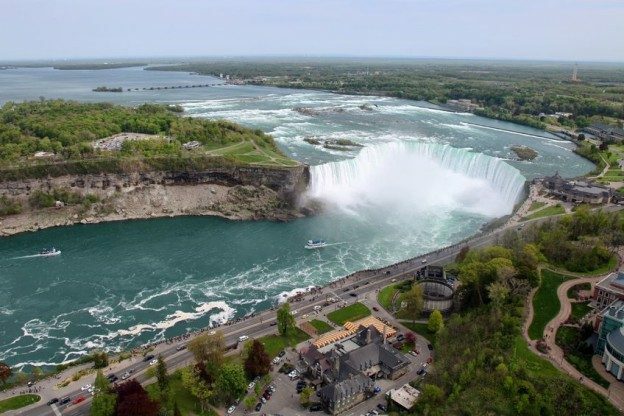 There are excellent Niagara homes waiting patiently on the market for new, eager owners. The thought of owning one is exciting, and if you are busy shopping the area, you probably cannot wait to get your hands on a key. As great as the future looks, when you picture yourself living life at your next property, the home buying process can be very intimidating, especially if this is your first real estate purchase. There are a lot of missteps that can be made that can turn your positive attitude into discouragement in a brief moment. Like all potential home buyers, you want the best experience that you could possibly have. That requires learning a few tricks and knowing exactly what it means to have the perfect home buying experience. Here are some easy tips that will make your hunt for a great home much easier. Believe it or not, many property shoppers start looking for homes without knowing exactly what they are looking for. Sure, they might know that they want a nice condo or a single family house with room for a growing family, but they do not consider important aspects, such as storage closets or energy efficient appliances. Before you set out to find your perfect home, make sure that you know what perfect will look like. Make a list of all of your wants and needs, and match that list with a realistic budget plan. You will be armed with the knowledge to find the right property much quicker. You have got to have a budget when shopping for a property (and a realistic one at that). While you might know that you are able to afford a specific amount towards a mortgage each month, the total amount that the bank is willing to loan you will be a huge factor in your budget plan. Be sure to get pre-approved for a loan with your local lender so that you will know your limits. Also, do not overlook other major expenses, such as your homeowner’s insurance and monthly utilities. Many buyers eagerly begin their search for their perfect property on their own—and quickly decide that they need to hire a real estate agent. Start out with a good offense by building your home buying dream team and getting a local real estate agent. This agent will be armed with the knowledge of the market so that they can match you with potential properties that will meet your needs and wants. This will save you a lot of stress and time. Your agent will also be a huge asset during negotiations with the owners of the properties that you have selected to purchase. If you are a first time home buyer, this help is invaluable. The happy ending to the perfect home buying experience is finding your perfect home. Niagara homes are waiting for you to view. If you would like more information on properties that are currently available, visit our buyer’s resources page and contact Kevin Stokes today. This entry was posted in Blog, NOTL Realty, Uncategorized on February 2, 2016 by Kevin Stokes.